This was an incredibly fun project to work because they were such an innovative team with so much groundwork & success achieved. Skip Lei, retired from Nike after 30 years, is a creative dynamo who is always looking for ways to do things better. 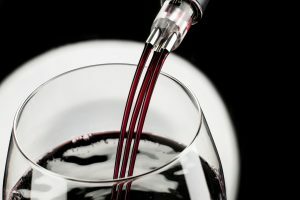 Also being a lover of wine made his patented invention a no-brainer and TRIbella “The world’s best aerator” (it is!) was born. Along with his daughter Katie, and another retired Nike colleague, their small team continues to make huge retail in-roads, landing accounts like Costco, Williams Sonoma and Fred Meyer. They had a great foundation for who they are, but needed to clarify their position and messaging to remain consistent on all of their platforms, and connect to their target audience. Their content marketing needed some love & strategy so they can continue to connect with audiences on a regular basis.